What a week, great to see the football back. All the preparation that went into all our iTeams and for a lot of us it all went a bit wrong. If you did have a bad start remember, this is a marathon not a sprint. Excluding Chelsea players due to the fact they played 2 games in GW 1, the highest points were scored from some real bargains. Michu was the highest scoring midfielder in La Liga last season and started his EPL career with 2 goals and an assist. Petric, so prolific pre-season, took that form into his first EPL game with 2 goals and an assist also. Priced at just 5.9m and 7.6m these 2 will be very popular going forward. Defensively there were 8 teams who didn’t concede a goal. Looking ahead, I will be looking at defenders from Swansea, Sunderland, Tottenham and Arsenal for clean sheets in GW 2. Swansea have very winnable games right up to visiting Man City in GW 9. If you can spend a bit less on your defence, you can afford to put a few of the big name attacking players in. Forward wise we have the return of Adebayor. 17 goals and 11 assists last season. Tottenham host West Brom and like Manchester Utd, will be going all out to register their first win of the season. If he doesn’t start. then selecting Defoe is a no brainer imo. RvP and Rooney will be popular of course, along with Carlos Tevez due to a GW 1 goal and the injury to his striking partner Aguero. Player to watch: Shinji Kagawa. If anything good came from Manchester Utd’s loss ( David De Gae was awesome to ) it was this man. Reminds me so much of David Silva. With another weeks training under his belt, I think he will have a great GW 2. He could outshine RvP this season. Captain choice: No double this week, so you have to put your thinking caps on. Personally, I can’t see past Manchester Utd this week. They will want to bounce back in style. RVP, Rooney or Kagawa for me. If you hate captaining anyone from Man U, then Adebayor or Defoe ( whoever starts ) or a cheeky punt on Lambert or Cazorla. Im sure Hazard will provide another couple of assists against Newcastle before Chelsea play in the UEFA Super Cup. – Read the newsfeed guides. A lot of people are to quick to post in them without actually reading them. There is some real helpful stuff in there. – Follow us on Twitter. Even if its just for the early line-ups. We post them approx 40 minutes before kick off. You can find them all in one handy place. – Try and make transfers after players have already played. People were going mad for Michu and Petric before Sundays games had even started. You should have been looking to bring in players who were playing on Sunday or Monday instead. 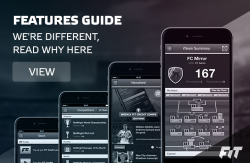 – You want to maximise your scoring potential. Always aim for 14 players playing where possible. 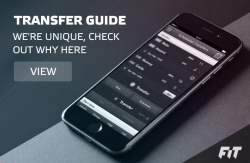 – If your reading this and you have made your transfers today, did you really have to? Unless it was Aguero or Agger out and someone else in, there was no need, be patient. – Chelsea and Reading do not play a premiership game in GW 3. Make sure you take these players out AFTER they have played in GW 2 and put in players who play later on in GW 2. Have a great 2nd Gameweek everyone.